Should The Battery Be Removed When Connect With Laptop Charger? It is well-known that laptop battery life is determined by recharging circles instead of the service time. Therefore, some batteries have the life spans of more than three years while some of only one year. Well then, what’s the correct way to charge? If the battery should be removed has been argued for a long time. First of all, the recharging circles can be checked by some testing software. However, it is reported that the technology is in its infancy which can not indicate properly. 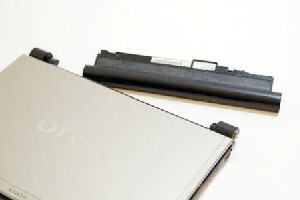 If the battery is installed in the laptop all the while, even if there’s still much power in it, a new circle starts when connected to the laptop charger. After pulling out the charger, the battery becomes to discharge gradually even if the laptop is power off. This is due to the circumstances for li-ion batteries cannot be insulated while the protection circuit consumes. Once the battery is connecting with the charger again, it begins to be charged. For most batteries nowadays, the limited value is designed in about 95%. If it is above the value, it won’t be recharged. In addition, the heat brought out from the laptop will also reduce the battery. You’d better decrease the current by dimming the screen, removing some unused external hardware and so on. Therefore, it is suggested to remove the laptop battery when charging by ac adapter. The conditions can be avoided, including frequent charging, incomplete discharging and working in the heat. In summer, it is better to allocate a heat dissipation base. When you are going out for a long time, you’d better store the battery with 40% of capacity remained. Otherwise, if there’s only a little power to discharge, it will damage rapidly. At present, there’re all kinds of batteries to choose from, such as dell inspiron 6000 battery, hp pavilion dv9000 laptop battery and apple a1185 laptop battery. All these batteries are of one full year warranty by usb phone world while the extended three years of only $39.95. Certainly, if there’s any problem occurs to you, our operators will help you by free.